Parenting >> blog >> Parenting >> Can You Use Essential Oils As Mosquito Repellants For Your Baby? Can You Use Essential Oils As Mosquito Repellants For Your Baby? Are you as parents concerned about mosquito bites troubling your baby? Worry not and scroll down to read whether you can use essential oils as natural mosquito repellant for your baby. The mosquito repellent which we get from the stores are always infused with a number of chemicals. Applying that on your child’s skin will only make him more receptive to rashes in the worst case scenario. Since the baby’s skin is still sensitive, you need to be more careful about the kind of product you are using. Can You Use Essential Oils As Mosquito Repellant? The simple answer is yes; you can use essential oil as mosquito repellant but you need to be careful about using essential oils as mosquito repellant. 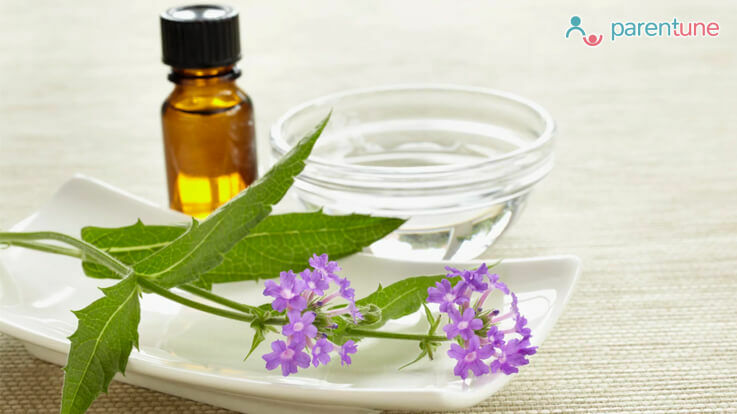 Essential oils have known to be effective in terms of mosquito repellent since they have a fragrance that is repulsive to the mosquitoes but tends to be harmless on baby’s skin. There are a variety of essential oils available ranging from cinnamon oil to citronella oil, however avoid going for the oils with floral scents as they tend to attract the insects instead of keeping them at bay. Scents like lemongrass, neem and eucalyptus remain for a long time, thus, making an excellent repellent. How To Use Essential Oils On Your Baby? Using essential oils such as tea tree, peppermint, catnip and lavender as a mosquito repellent on your baby’s skin are a good choice, however, do practice caution while using them. Avoid applying anything directly on to your baby’s skin as babies tend to put everything in their mouth so sprinkle one or two drops on the clothes you baby wears or spray a few drops in the room your baby is. Essential oils are the concentrated forms of plant oils so you need to exercise proper caution when using it for your baby. Avoid direct contact of skin with the oil. Use the oil sparingly on the bedsheet, crib and away from the point where the baby can inhale the oil directly. Keep your baby covered all the time with mittens and socks. Always opt for loose clothing rather than the tight ones which will leave a breathing space for your little one. since darker clothes attract the mosquitoes, make sure you make your baby wear light coloured clothes for his protection. Keep your house clean and avoid storing water in the open which becomes a breeding ground the mosquito and you must also avoid any kind of water logging in your surrounding area. Following these measures will help your baby remain free from any mosquito or bugs. While essential oils act as an added measure, you also need to evade the problem of mosquitoes by ensuring cleanliness in your house as well as in your surroundings. Did you like the blog on can you use essential oils as mosquito repellant for your baby? Share your views and feedback with us in the comment section below. 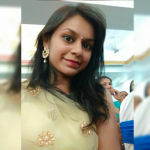 How to get relieved from mosquito bite for three b..
Hi is it safe to use mosquito repellent to 7 month..
What essential food I should give to my baby for t..
What can I use as mosquito repellent for my five m.. Which one can use in baby s room for avoid mosquit..
My daughter is 9 months old..... can I use any mos..
May I use odomos for pre mosquito bites on my 7 mo..